Push Money App Scam Review - with Proofs! Push Money App Scam Review – with Proofs! Push Money App found at pushmoneyapp.com is offering to make you thousands of dollars profit within 24 hours. Don’t fall into the trap, because Push Money App is a scam. Read our Push Money App scam review to find out the truth before you lose your hard earned money! Just like many other binary trading software scams out there, Push Money App scam is promising sky high returns and unrealistic profits with a piece of “fully automated money making software”. 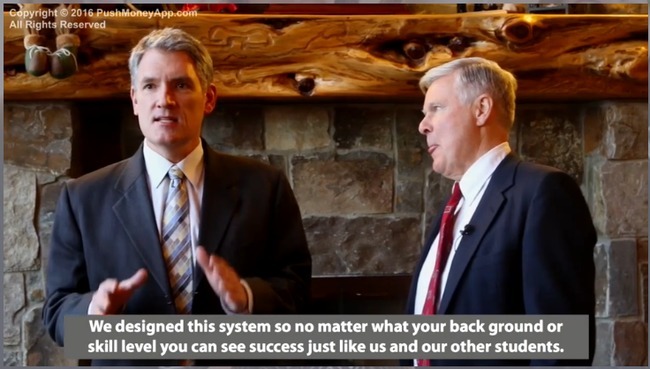 In the sales video, the alleged owners of Push Money App scam, Dennis Moreland and Mike Callahan claim they have developed an ultimate make-money software that doesn’t need any effort from their users at all. Their users are shown to make thousands of dollars profit just by clicking a button and letting the software run on autopilot. But is that really the case? How can we be sure these are not just actors paid to make a scam video and fake testimonials? Unfortunately, we’ve found multiple red flags and blatant lies within Push Money App scam. Dennis Moreland and Mike Callahan claim to have their Push Money App company established in Portland, OR, USA. From the screenshot above, you can even see the cheque being issued by Push Money Company. For a company to be based and operational in the United States, it must be registered under SEC list of companies. 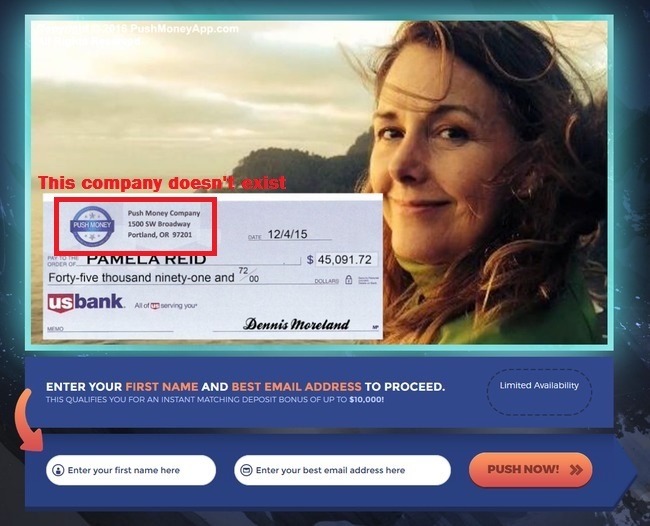 Not only is Push Money company not registered under the U.S. Securities and Exchange Commission, you won’t find any information about Push Money Company in Forbes and BBB directory. Push Money Company simply doesn’t exist. One more thing – since this is a binary trading software, all the profits will be held in brokers account instead of Push Money Company. Why would there be a need to send cheques to their members? It’s obvious that displaying cheques with huge sums is just a marketing tactic to attract the attention of unsuspecting internet users and lure them into the trap. In the members page, you can find the counters above that shows the total earnings made by Push Money App clients since year 2015. However, an alarming truth can be found in the publicly available whois information of pushmoneyapp.com. It shows that the website was created just a month before this review, on 09 Jan 2016. Push Money App scam website was only created in 2016, so there is no way the app existed since 2015. Push Money App website is the only place you can gain access to the software itself, so it’s impossible that the app was hosted somewhere else before the website was created. At the time of this review, the Push Money App scam has only been released for a couple of days. Yet we are already seeing real feedback of several victims, claiming that they have lost all money using the app. What’s more, they are not receiving replies from Push Money App’s support. This alone should be enough to alert you and steer clear of the scam. We have a conclusive evidence to prove that Push Money App is a scam, and we’ll reveal it right after the next segment. How Does Push Money App Work? This is how it works – let’s say I predict the price of gold market to rise 30 seconds from now, and I bet $50 on a 30-seconds contract. When the time is up, and the price is indeed higher, I win a certain percentage of what I bet, usually between 60% to 80% (between $30 to $40). But if I’m wrong, I lose the entire $50 that I bet. In practice, trading binary options not that different from trying to guess the outcome of a coin toss. Your odds isn’t better than 50-50. There is no way to predict market movements in such a short period of time. Even if you manage to achieve a 50% win rate, you’ll still lose money due to the uneven winning vs losing payout of binary options. Who would risk $50 in a game of coin toss just to potentially win $30 to $40? So how does Push Money App come into play? It’s a binary trading robot that trades automatically for you. Instead of losing money by yourself, you are now losing your hard earned money using an automated app. The disclaimer is linked through a fine print that says “earnings disclaimer” at the bottom of their sales page, and it’s hidden from the average users unless they are specifically looking for it. You can view the full disclaimer at this link: http://pushmoneyapp.com/disclaimer.php to verify it’s authenticity. Any and all forward looking statements here or any of our sales materials are intended to express our opinion of earnings potential. Even though Push Money App works fully automated and does not require any prior knowledge from the users, somehow the earning potential is entirely dependent on yourself and your techniques. Compare this term to what Dennis and Mike claim in the previous screenshot, and you’ll see how the scammers try to escape from their irresponsible claims. Even though Push Money App promises you thousands of dollars of profit per day, you shouldn’t view it as a “get rich scheme”. That’s because scams like Push Money App that promise exorbitant returns are fake, and illegal in many jurisdictions. Push Money App will not be responsible if you deposit and lose all your money using the software! The earnings and results shown in the sales materials are intended to express the scammers’ own OPINION of Millionaire Replicator’s earning POTENTIAL. It’s just a fancy way to admit that the trade results shown in sales materials are not real! 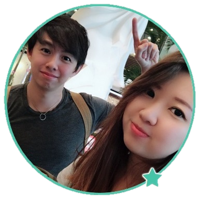 Despite boasting how Push Money App generate huge profits with ease, there’s no guarantee that you will achieve any results with the software. In fact, you are most likely going to lose all your deposits. Fact #4 alone should be enough to alert you and steer you away from Push Money App scam. How can you trust a software that doesn’t even report real earnings? These terms and conditions are not here to give you a fair warning as a consumer. The sole purpose of this document is to protect the scammers from legal actions when you lose all your money trading with Push Money App software. Is Push Money App a Scam? YES, PUSH MONEY APP IS A SCAM. As we’ve said in the review earlier, we don’t recommend binary options trading as a way to make money online, at all. It’s not that different from gambling, and using an automated trading software is no different. You are essentially putting your hopes and entire investment in a piece of software that gambles on your behalf. 1K Daily Profit Scam Review – Complete with Proofs!